Take a Virtual Tour When the Carnegies Visited Worcester, Mass. You've reached the end of our Academic Library VirTual Tour. Click here if you want more information about how our tours work. Click on the green graphic if you want to jump to the beginning of the Academic Library VirTual Tour. 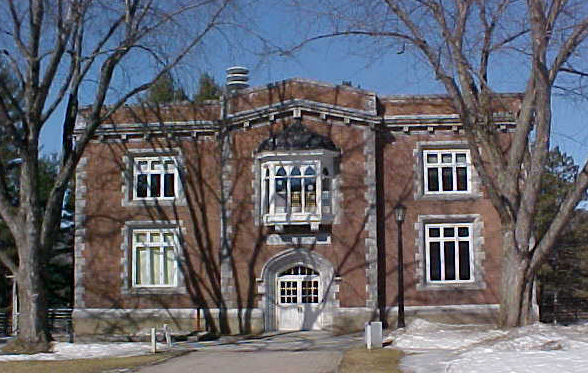 You'll begin at Norwich University in Northfield, Vermont. 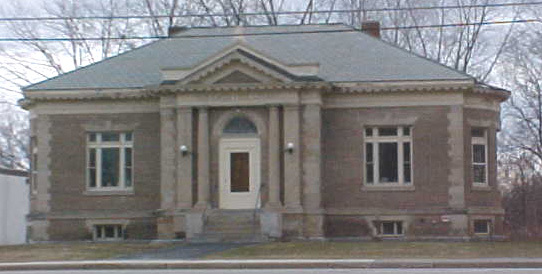 Click on the blue graphic if you want to take the Public Library VirTual Tour, traveling through Vermont, New Hampshire, Maine, Massachusetts, and Connecticut. You'll begin in Fair Haven, Vermont. NECarnegies.com is a free site carrying limited advertising. It costs more than $500 a year to host and maintain this site. If you found the information useful and/or entertaining and would like to help the cause, feel free to click here to make a donation via PayPal. Thanks! This information has been compiled and posted by Corinne H. Smith. It is now maintained by Jessamyn West and hosted by ibilio. Questions, comments, and corrections can be addressed here.